Opening track Jacqueline has a disconcertingly gentle and slow beginning yet soon develops into a sterling pop song with an instantly endearing chorus: "It's always better on holiday/ So much better on holiday/ That's why we only work when/ We need the money". Take Me Out amusingly mixes its metaphors of shooting and dating, and features sublime time changes throughout. The Dark Of The Matinee is another jaunty piece that makes the best of its engagingly variable tempo, and its fun namechecks for Terry Wogan and BBC2 most clearly identify this as earnestly creative Britpop. Cheating On You has limited lyrics, repeated endlessly, but its shameless frivolity is tempered by driving rhythm guitars so the song escapes consignment to filler status. This Fire is another track with meagre poetic wordage but is again sustained by some excellent musicianship that rises and subsides, just like the romantic passion it regards. Unabashedly archly tongue-in-cheek at times, the band are at their most gaily camp with Michael, flirting with sexual androgyny. Come On Home is a delightful tune of romantic longing that eschews dour resentment or whingeing by means of its relentlessly upbeat tone. 40' closes the album with dazzlingly terse perspectives on how we might view the vertiginous risks of modern life (or perhaps it's really about a suicide pact?) and leaves us wanting more. 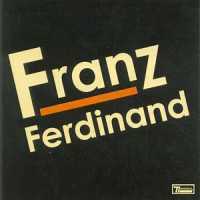 Bursting with talent and a consistently amazing level of energy and musical invention, the limey quartet of Franz Ferdinand are undeniably the brightest and boldest Britpop phenomenon of 2004. These most-likely-to lads (a fantastic foursome?) have issued a mission statement: proclaiming it's their avowed intention to completely banish any and all historical records of their own (assassinated!) namesake's existence, and then eagerly replace it with their own... Archduke who?